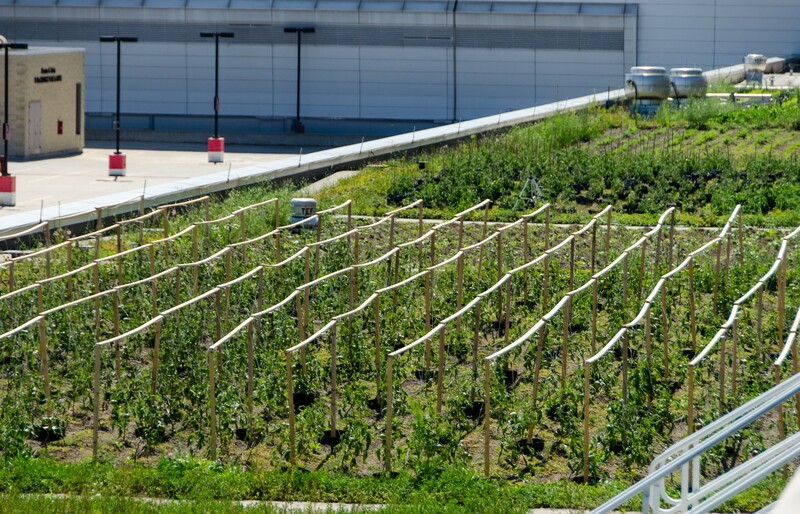 Vegetables can grow in the most unexpected places, including the roof of the McCormick Place West Building. 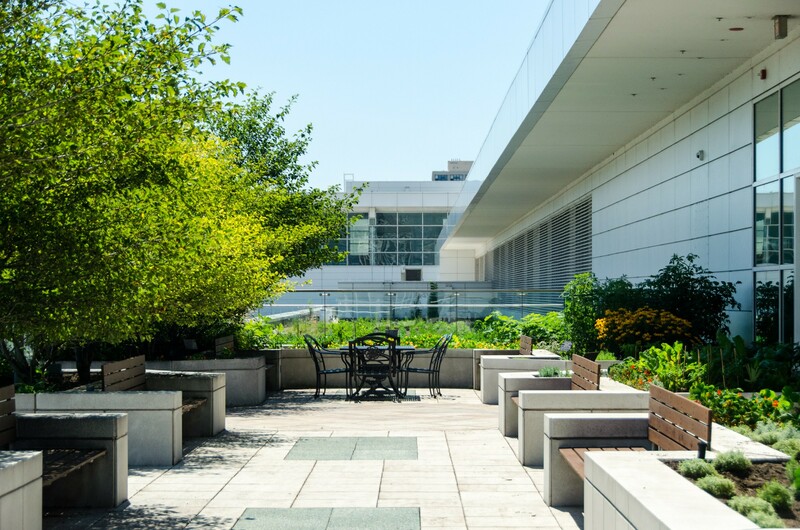 Architects planned a green roof to mitigate the environmental impact of the building, and went a step further by creating a charming terrace event space with skyline views. 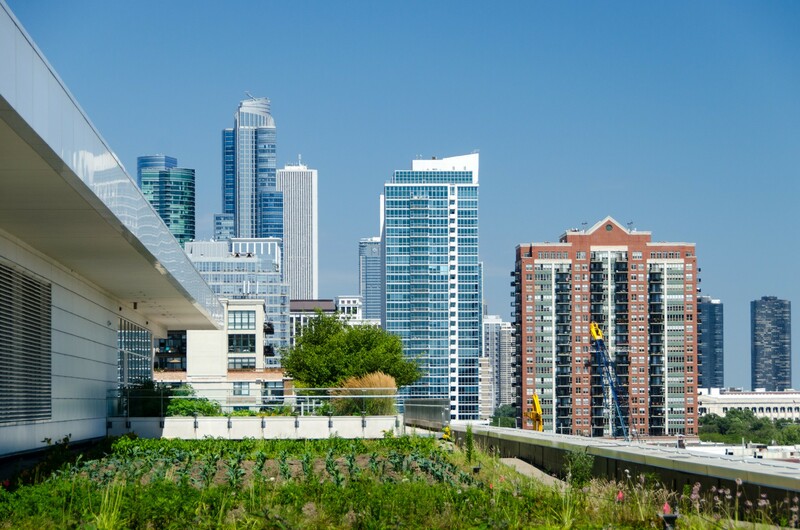 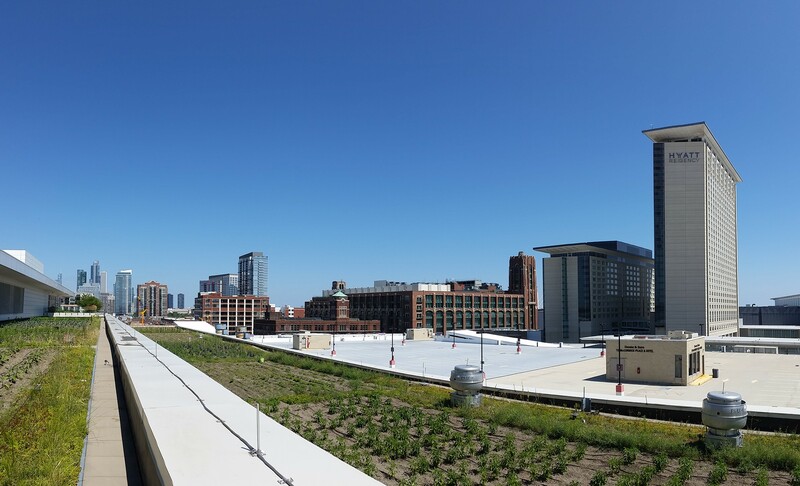 In 2013, the Chicago Botanic Garden's Windy City Harvest program transformed the massive 20,000-square-foot roof into the largest farm-to-fork rooftop garden in the Midwest. 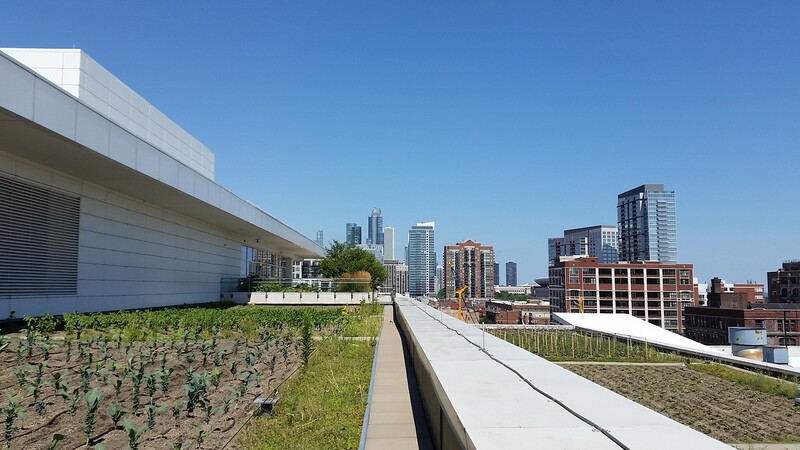 8,000 pounds of produce are grown on the roof each year for SAVOR...Chicago, the convention center's food service provider and Windy City Harvest program partner. 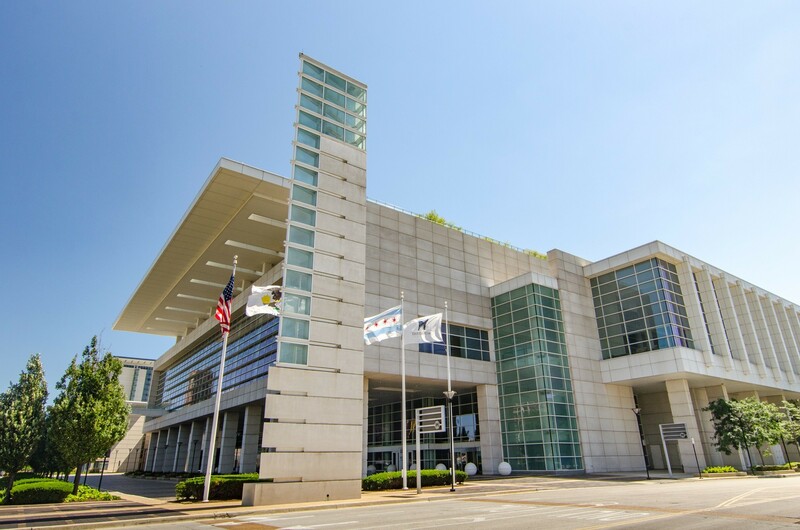 Though this is just a fraction of the food served to visitors to McCormick Place and the growing McCormick Square neighborhood, it reduces the need to transport produce to the convention center.